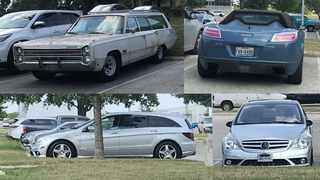 Just saw these three things in the same parking lot: A 1968-ish Plymouth Fury Suburban survivor, a Sky Redline, and the unicorn - an actual R63 AMG in the flesh. I’m assuming all of these are DD’s. So, Oppo... DD/Track/Burn?